Exclusive Die Hard: The Ultimate Visual History Book Trailer! After we previously debuted some exclusive pages (see gallery below), Insight Editions has provided ComingSoon.net with an exclusive book trailer for the upcoming November 13 release Die Hard: The Ultimate Visual History! Check out the trailer in the player below! 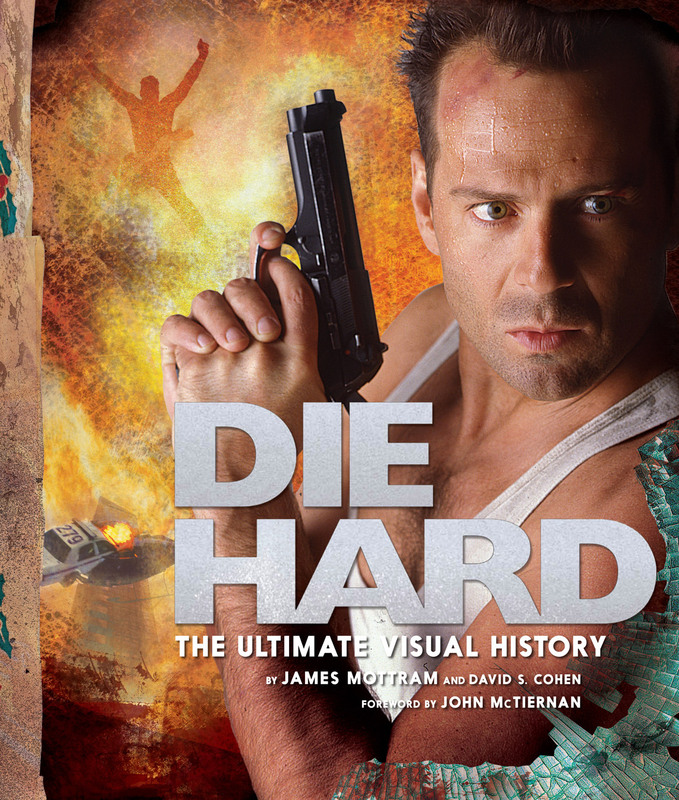 Click here to pre-order your copy of Die Hard: The Ultimate Visual History! Celebrating the 30th anniversary of the groundbreaking action film, Die Hard: The Ultimate Visual History takes an in-depth look at the entire Die Hard saga. Loosely based on Roderick Thorp’s novel “Nothing Lasts Forever,” Die Hard (1988) saw Moonlighting’s rising star Bruce Willis seamlessly transition from TV success to movie stardom in a film so taut, explosive and full of suspense that it would define the action movie genre for decades to come. Directed by John McTiernan (Predator), Die Hard also starred revered British stage actor Alan Rickman, who made lead villain Hans Gruber so deliciously malevolent that audiences didn’t know whether to love him or hate him. Die Hard: The Ultimate Visual History tells the complete story of the making of Die Hard and its sequels (Die Hard 2, Die Hard With a Vengeance, Live Free or Die Hard and A Good Day to Die Hard) through exclusive interviews with the cast and crew of each film and a wealth of rare and unseen imagery, including set photography and concept art. Also exploring Die Hard’s endurance through comics, video games, and other merchandise, this comprehensive book tells the full story of the saga and its remarkable 30-year legacy. The post Exclusive Die Hard: The Ultimate Visual History Book Trailer! appeared first on ComingSoon.net.